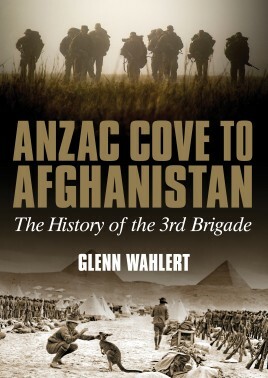 As the first Anzacs to land at Gallipoli on 25 April 1915 and among the last to serve in Afghanistan 100 years later, the men and women of the Australian Army’s 3rd Brigade have a long and proud history. Initially raised in 1903, the 3rd Brigade served as part of the Australian Imperial Force during World War I, suffering appalling losses at Gallipoli. On the Western Front the brigade endured three years of horrendous trench warfare, its four infantry battalions alone incurring a casualty rate of over 300%. During the inter-war period the brigade was a militia force and was mobilized with Japan’s entry into the war in 1941, serving in Darwin, Papua New Guinea and North Queensland. Disbanded in 1944 and re-formed as the 3rd Task Force in 1967, the soldiers of the 3rd Brigade have deployed to almost every theater in which the Australian Defence Force has seen action, including Vietnam, the South Pacific, Somalia, Cambodia, Rwanda, Bougainville, Timor-Leste, Solomon Islands, Iraq and Afghanistan. From 1980 the brigade has been the government’s land force instrument of first choice in response to military or peacekeeping interventions throughout the world and natural disasters at home. This is a heritage of which all Australians can be justifiably proud.